Building a good credit history can be difficult, especially if you have no credit. Establishing credit requires time, perseverance and, most importantly, responsibility. It’s extremely important to build a good credit history, however, as lenders look at an individual’s credit report to determine whether or not to approve a loan. Employers, landlords and insurance companies may also consider a person’s credit history when making decisions. Although building a good credit history can be challenging, the results are well worth the effort! As lenders (and landlords) routinely require bank account information to process applications, get a checking and/or savings account at your local bank or credit union. Use your account wisely and be sure to avoid overdrafts to demonstrate that you can effectively manage your money. Most loan, rental or other applications ask about your employment. You need to get a job, and then keep it, to establish a stable employment history. In addition, adequate income shows that you can make loan or rental payments. Figure out how you can establish some credit. 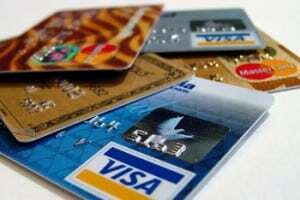 Depending on your current circumstances, you may be able to qualify for a credit card on your own. If not, consider options below to help you get started. Apply for a credit card based on your individual circumstances. If you are a college student, you may qualify for a student credit card. Some retailers issue store credit cards that will build your credit if the merchant reports to the credit bureaus (always ask). Secured credit cards that require a deposit to cover the credit limit are a good alternative for folks with no other options. If you have a willing family member with good credit, you can become a joint account holder to take advantage of the credit they’ve established. Be careful, however, because no matter who uses the account and/or pays the bills, the account activity (good or bad) will appear on the credit report for all joint account holders. Again, if you have a willing family member with good credit, you can ask them to co-sign. Lenders may be more inclined to approve your loan application even if you have little or no credit history if someone with good credit agrees to make the payments should you default. Always use your credit wisely, avoid overspending, and make ALL of your payments on time. Any late payments, whether on credit cards, rent, or even utilities, can hurt your credit score and stay on your credit history a very long time. Once you get a credit card, DO NOT charge up to the account limit. The more credit you have available compared to the amount of credit you’re using, the higher your credit score will be. Get a free copy of your credit report each year from each of the three main credit-reporting agencies at AnnualCreditReport.com. Make it a habit to check your credit report about every four months (alternating between the three agencies) and correct inaccuracies promptly. So, what are YOU doing to build and maintain good credit? Crystal Marie lives by the philosophy that needing less rather than earning more is the key to happiness and financial serenity, which allowed her to “retire” from formal employment in health education at the age of 44. She can be found making the most of the second half on her blog, The Best 50 Years. Great tips. May I ask off-topic question? Why don’t you use h3 tags in your list of steps. Usually H-tags are bigger and make your text more readable ’cause it divides the article into blocks. Just try to do the experiment and compare 2 variants. Personally, I hadn’t thought that much about H-tags. Maybe I will try it if I have the time to get around to experimenting that way. Good article, very informative. I liked the part about riding on someone elses credit. Not everyone knows about it nor how quickly it works.